Roger Federer has only two days to tune up for Switzerland’s bid to break into the Davis Cup elite when they clash with Australia in their World Group playoff starting on Friday. The 16-times grand slam champion, whose last match was a taxing five-set loss to U.S. Open champion Novak Djokovic in the semi-finals at Flushing Meadows, arrived in Sydney on Wednesday, days after his team mates. Federer and Stanislas Wawrinka will be expected to carry Switzerland’s hopes in the singles at Royal Sydney Golf Club against Australia’s former world number one Lleyton Hewitt and rising talent Bernard Tomic. Federer looked relaxed in a practise session on Wednesday on the grasscourts at the tie’s venue, the 30-year-old training in both singles and doubles against practice partners in a possible preview of his participation over the weekend. Wawrinka, who suffered a leg injury during the U.S. Open, appeared in no discomfort during his training session and is likely to be named along with Federer in the singles when the draw is released on Thursday. Australia have their own injury concerns, with Lleyton Hewitt forced to withdraw from the U.S. Open after failing to recover from an injured toe that has bothered him for months. “I wouldn’t be putting a lot of money that I will be playing anything after this event,” Hewitt told reporters on Tuesday. “Right at the moment, I’m just focusing on getting through this tie.” Australia, a former Davis Cup power with 28 titles, second only to the United States’ 32, have lost all three of their World Group playoffs in the past three years and face a mammoth task to beat the Federer-led Swiss. 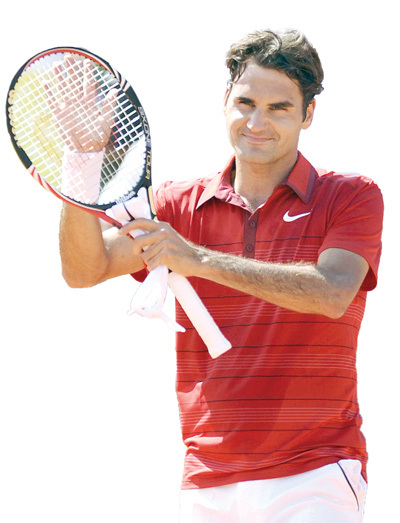 “Roger is the main guy in the tie and he’s the guy with the most form and the best form coming in,” said Hewitt, whose ranking has plummeted to 199th amid his injury struggles.